Sennelier Green for Oil Thinner is a safer, eco-friendly alternative to traditional solvents. 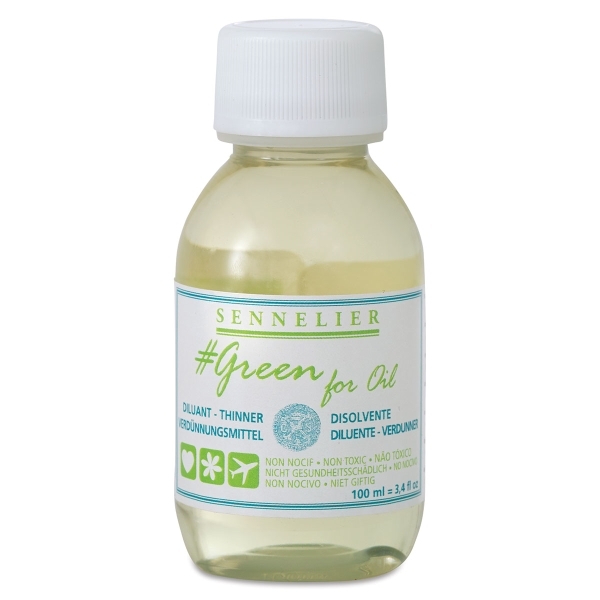 Use Green for Oil Thinner just like a classic thinner. Mix it with your oil paints to make them more fluid and more suitable for underpainting. Use Green for Oil Thinner just like a classic thinner. Mix it with your oil paints to make them more fluid and more suitable for underpainting.